Update: Most of the exploits made publicly available (mentioned in this article) by the Shadow Brokers group are already patched by Microsoft in the last month's Patch Tuesday update. So, it is always recommended that you keep your systems up-to-date in order to prevent you from being hacked. Now, the Shadow Brokers group just published a new 117.9 MB of encrypted archive via its new blog post, titled "Lost in Translation," which can be unlocked by anyone using password "Reeeeeeeeeeeeeee." The latest dump comprises of 3 folders: Windows, Swift, and OddJob. "So this week is being about money. TheShadowBrokers showing you cards theshadowbrokers wanting you to be seeing. Sometime peoples not being target audience. Follow the links for new dumps. Windows. Swift. Oddjob," the Shadow Brokers latest blog post reads. The Windows folder holds many hacking tools against Windows operating system, but works against only older version of Windows (Windows XP) and Server 2003, according to researchers. “ETERNALBLUE is a #0day RCE exploit that affects latest & updated Windows 2008 R2 SERVER VIA SMB and NBT!” tweeted the security researcher known as Hacker Fantastic on Twitter. 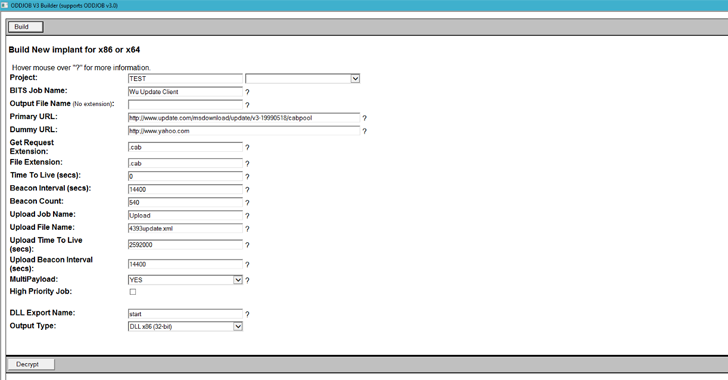 Another folder, named OddJob, contains a Windows-based implant and includes alleged configuration files and payloads. While the details on this implant are scarce at the moment, OddJob works on Windows Server 2003 Enterprise up to Windows XP Professional. Some of the Windows exploits were even undetectable on online file scanning service VirusTotal, Security Architect Kevin Beaumont confirmed via Twitter, which indicates that the tools have not been seen before. 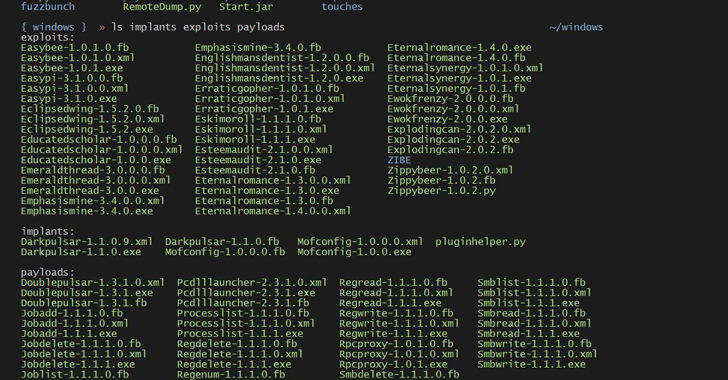 "A lot of good remote exploits in the #EquationGroup tools. Just a few well-designed 0days is enough to pwn the planet," tweeted another security researcher, who uses Twitter handle x0rz. 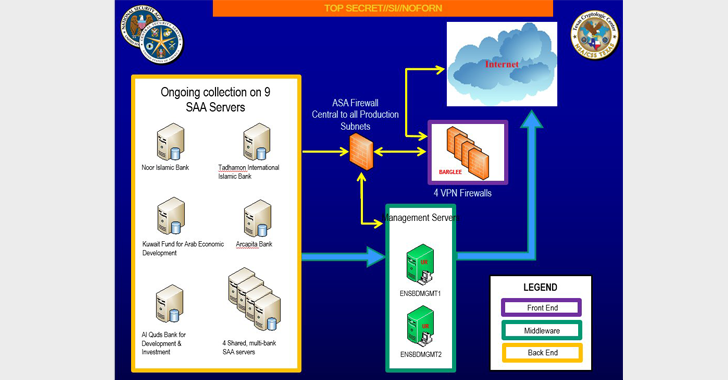 The SWIFT folder contains PowerPoint presentations, evidence, credentials and internal architecture of EastNets, one of the largest SWIFT Service Bureau in the Middle East. SWIFT (Society for Worldwide Interbank Telecommunication) is a global financial messaging system that thousands of banks and organizations across the world use to transfer billions of dollars every day. "A SWIFT Service Bureau is the kind of the equivalent of the Cloud for Banks when it comes to their SWIFT transactions and messages; the banks' transactions are hosted and managed by the SWIFT Service Bureau via an Oracle Database and the SWIFT Softwares," security researcher Matt Suiche explains in a blog post. The folder includes SQL scripts that search for information from the Oracle Database like the list of database users and the SWIFT message queries. 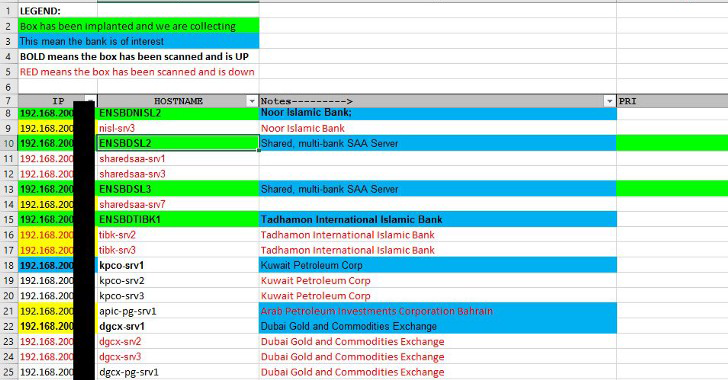 Besides this, the folder also contains Excel files that indicate that the NSA's elite cyber attack unit Equation Group had hacked and gained access to many banks around the world, the majority of which are located in the Middle East like UAE, Kuwait, Qatar, Palestine, and Yemen. "SWIFT Host of Palestinian Bank was running Windows 2008 R2 vulnerable to exploit framework FUZZBUNCH." Matt tweeted. More key findings will come as soon as other security researchers delve into the latest dump. This release is the latest from the Shadow Brokers desk and at the moment, it's not confirmed whether the hacking group holds more NSA hacking tools and exploits or this one is the last batch it stole from the United States intelligence organization. In an official statement published today, EastNets denies that its SWIFT bureau was compromised, and says the reports of hack are "totally false and unfounded." "The EastNets Service Bureau runs on a separate secure network that cannot be accessed over the public networks. The photos shown on twitter, claiming compromised information, is about pages that are outdated and obsolete, generated on a low-level internal server that is retired since 2013."